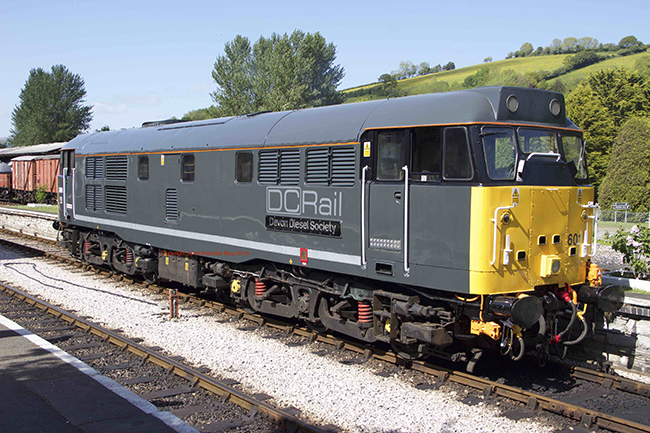 The locomotive, 31 601, was repainted by members of the Devon Diesel Society in the Carriage & Wagon shop of the South Devon Railway over the past two weeks. 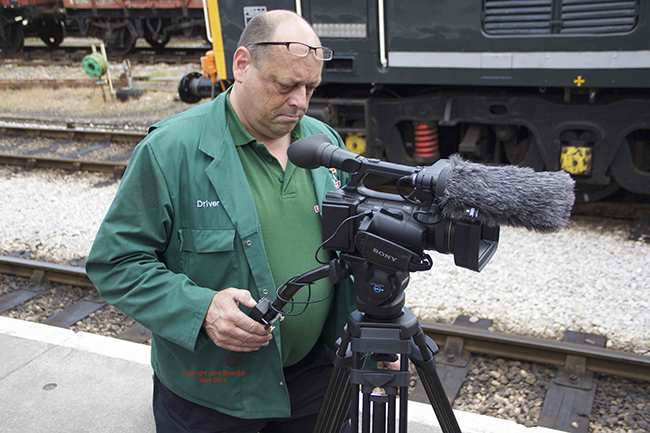 It is in use by Devon & Cornwall Rail, who supplied the materials. 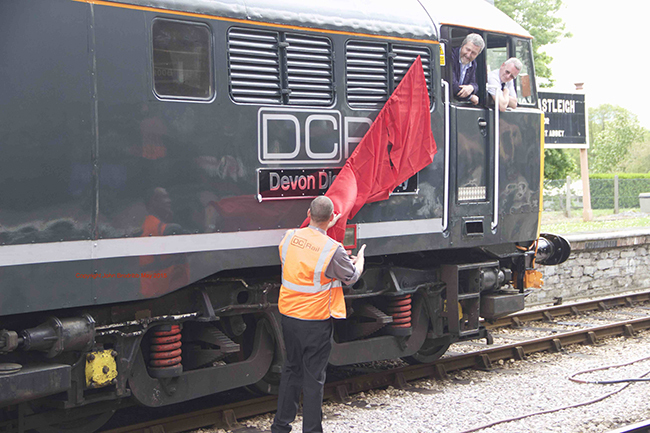 It was named “Devon Diesel Society” this morning (Friday 22nd May) by the MD of Devon & Cornwall Rail, and then worked trains on the South Devon Railway for the rest of the day. It was in use on the Saturday as part of our 1960s Mixed Traffic weekend before returning via the SDR’s main line connection at Totnes on the Sunday.